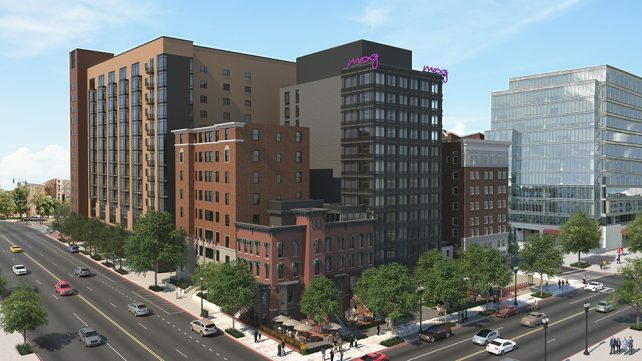 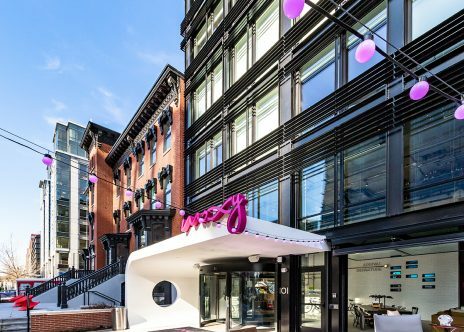 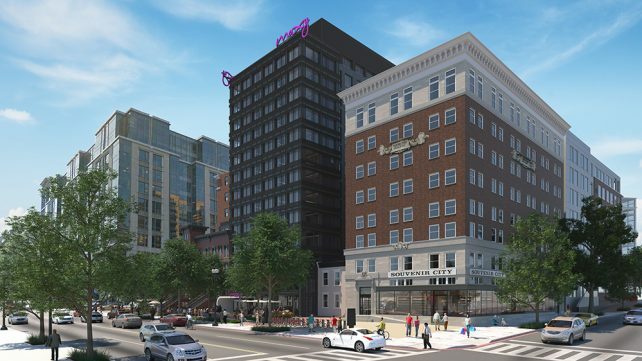 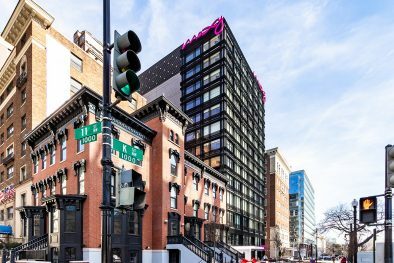 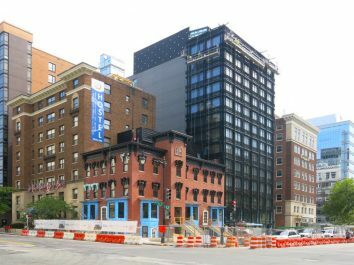 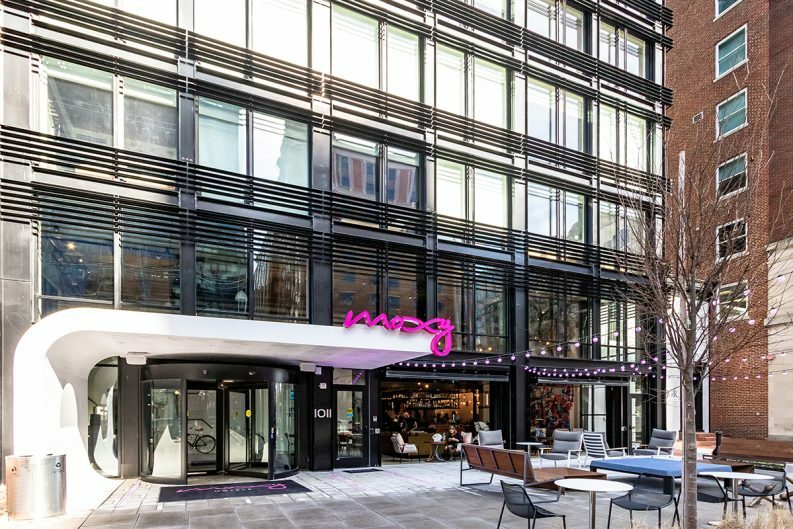 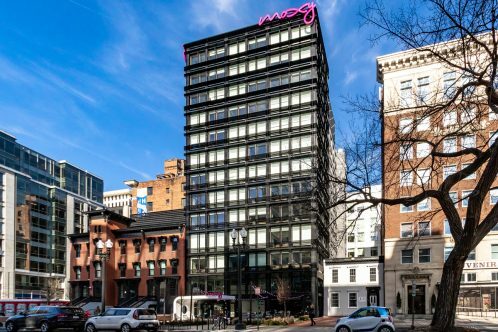 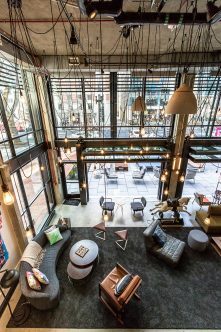 Marriott’s new brand, Moxy Hotels, opens in D.C. in late 2018. 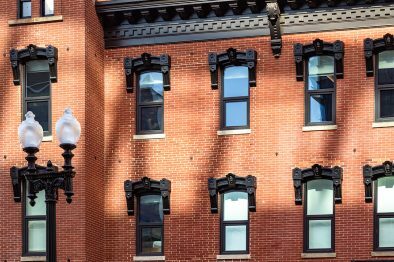 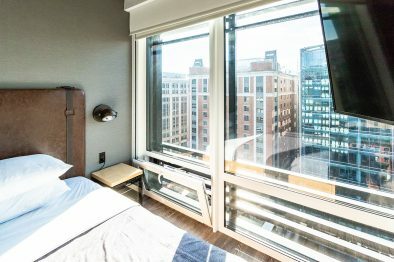 This highly anticipated hotel boasts energy efficient and sound reducing windows so guests can be close to it all and still get a great night of sleep (sound ratings: STC45/OITC38). 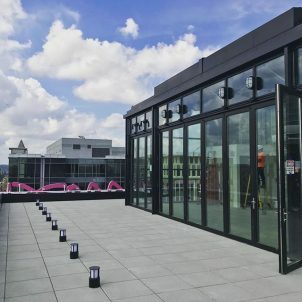 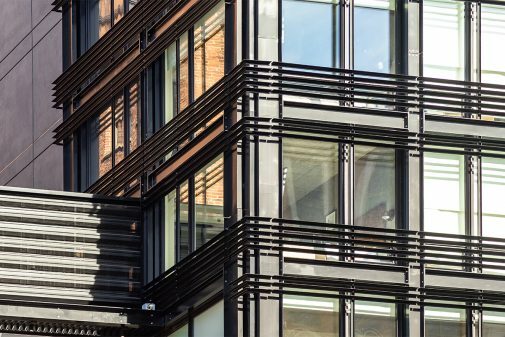 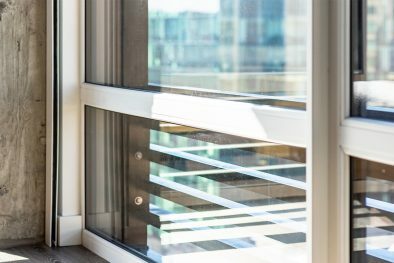 Guests will enjoy D.C.’s first open air retractable rooftop (OpenAire) which integrates beautifully with INTUS Windows which are throughout the modern hotel. 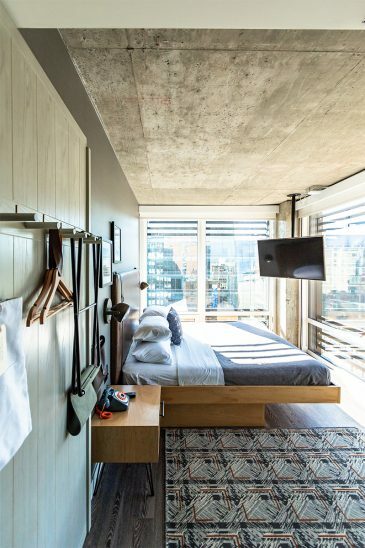 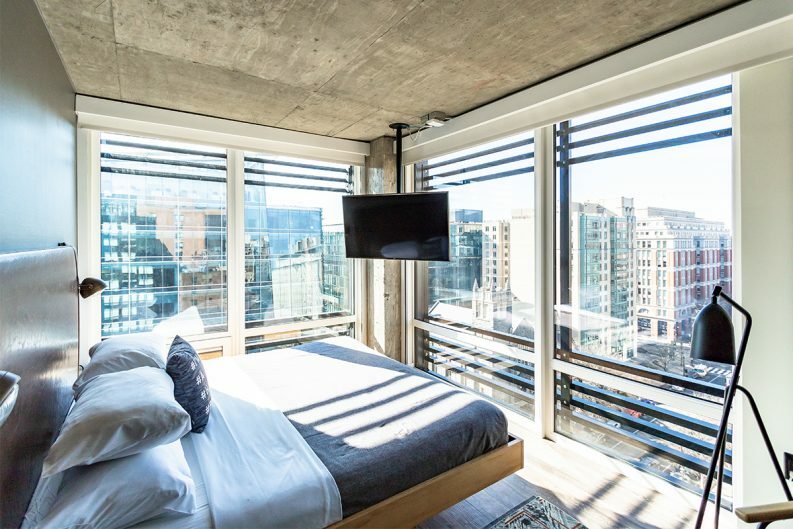 There are 8 Moxy Hotels set to open in the U.S. to create a better experience for the millennial type of traveler who’s a minimalist but wants a bit of fun. 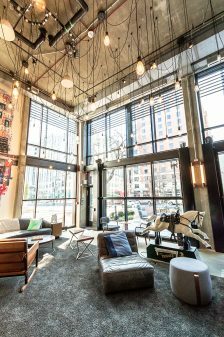 Guests get a free drink, speedy WiFi, 42″ TV’s, fresh coffee (no instant), and there’s even Jenga! 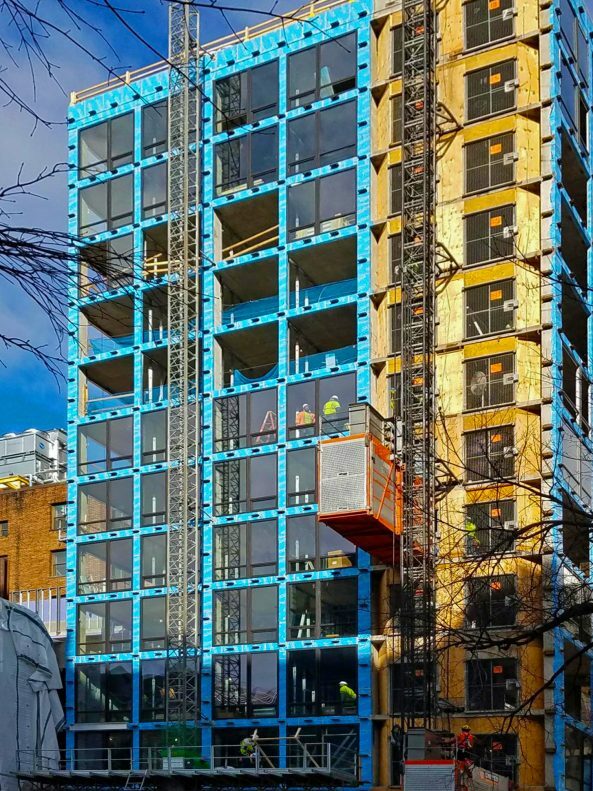 Check out the building time lapse here. 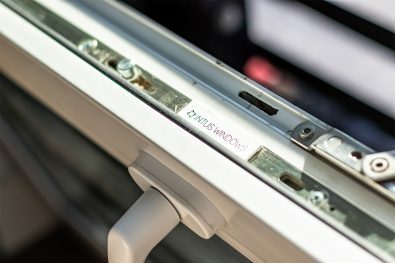 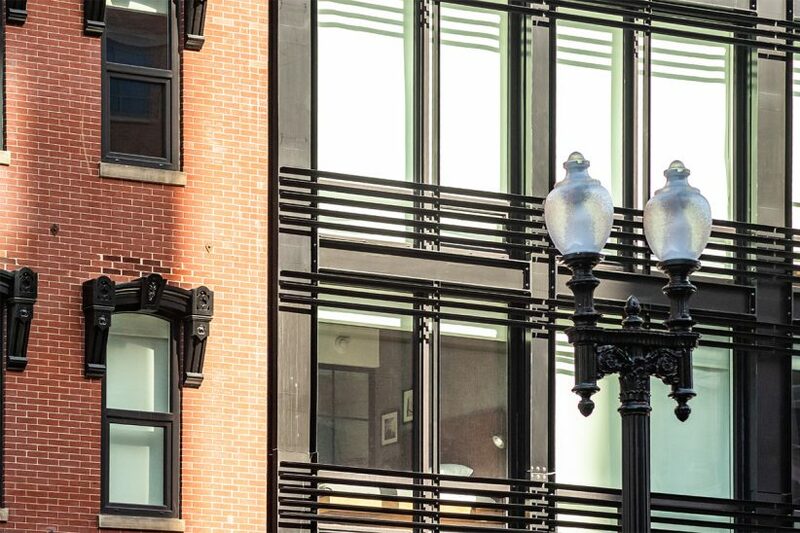 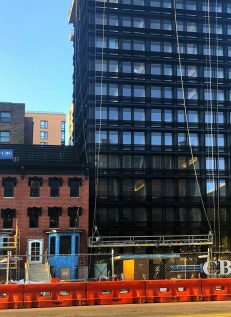 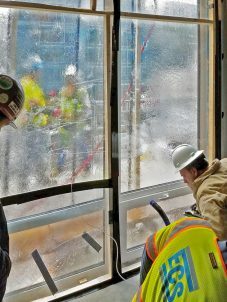 Clark Building Group and Custom Glass Services performed water penetration tests on two INTUS Arcade window systems, and of course they passed at 6.24 psf with no issues. 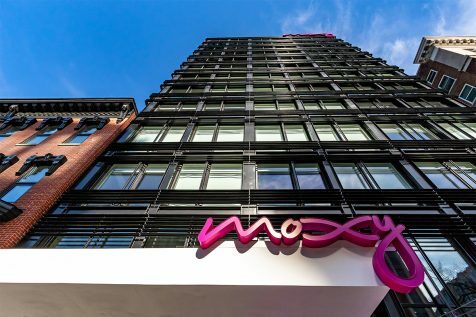 The Moxy Hotel is in progress and looking good! 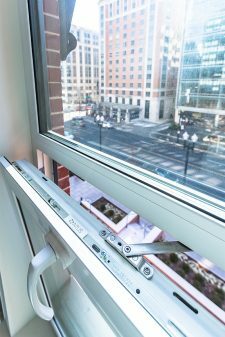 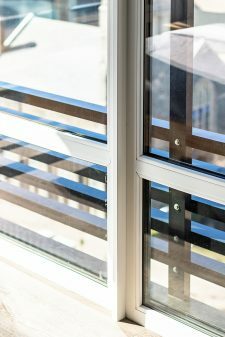 INTUS Windows are being installed to give guests a quiet and comfortable stay (STC45/OITC38). 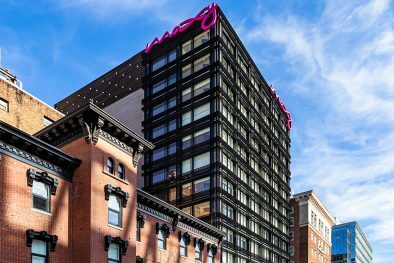 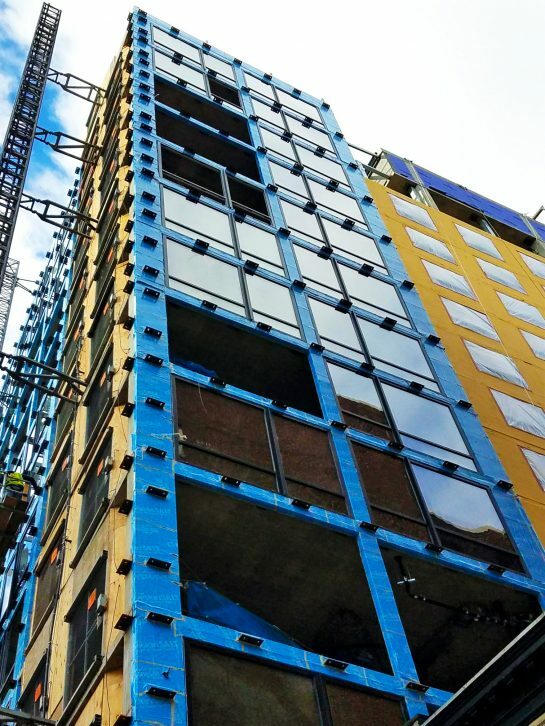 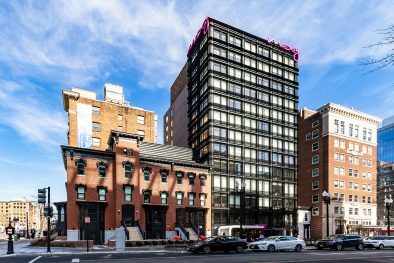 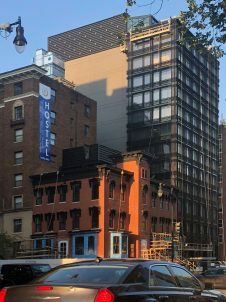 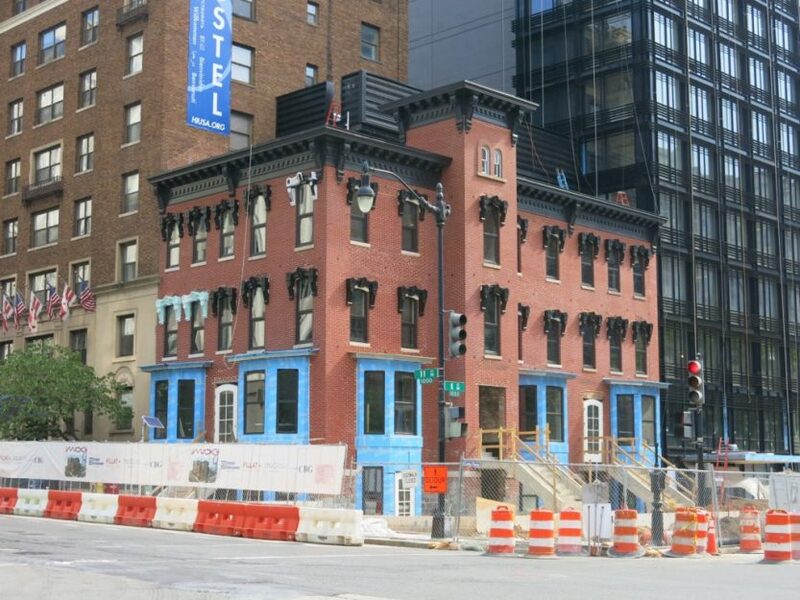 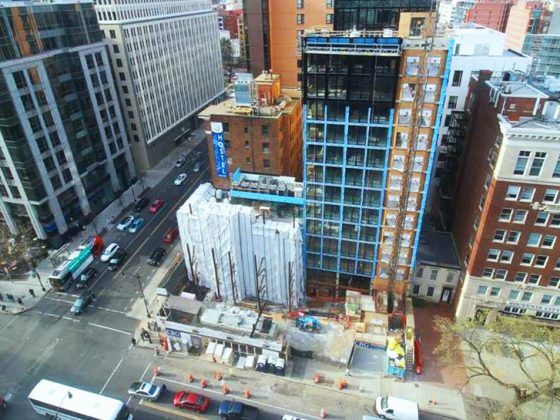 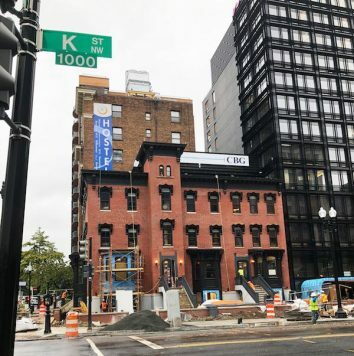 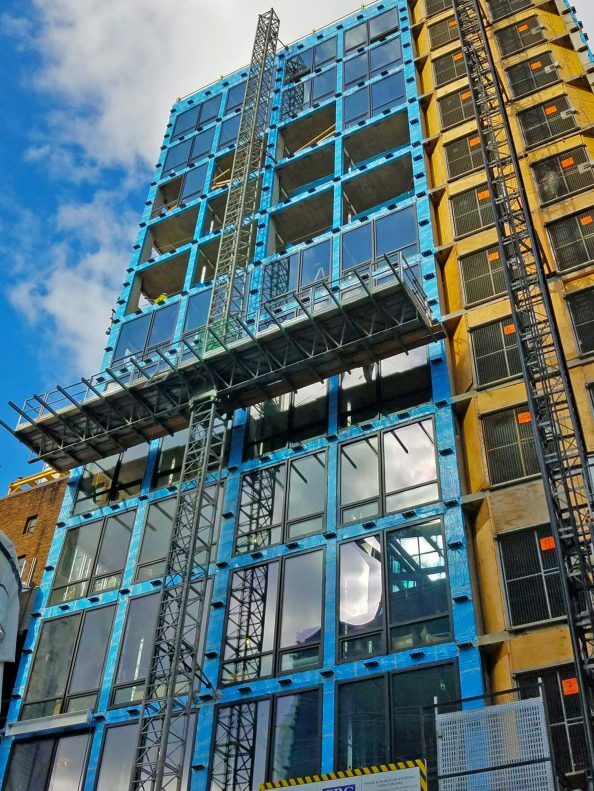 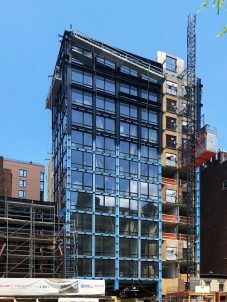 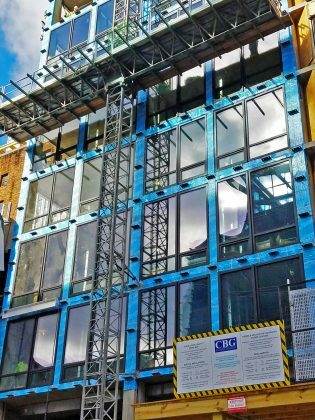 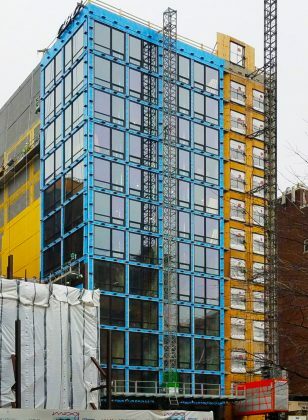 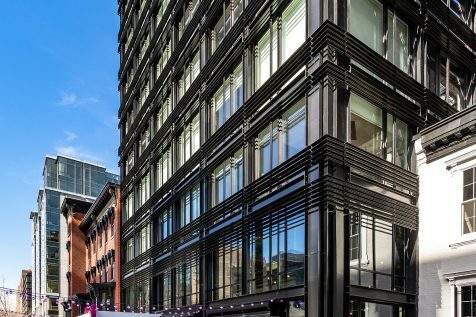 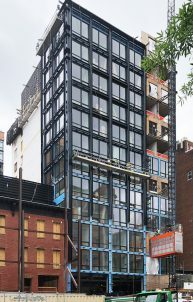 The Moxy Hotel with INTUS Windows – completion set for late 2018!